Documentation and SupportReleases Turnip Release Notes 2016-04-26Configured Views can now be saved as Excel Web URL. This URL can be put directly into Excel. 1. 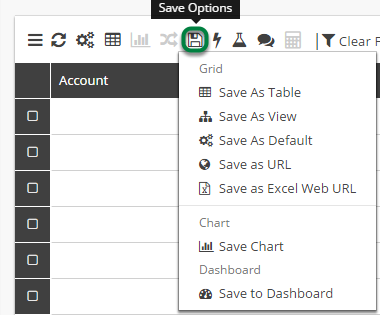 With the desired View loaded into Grid View, click the 'Save Options' button. 2. 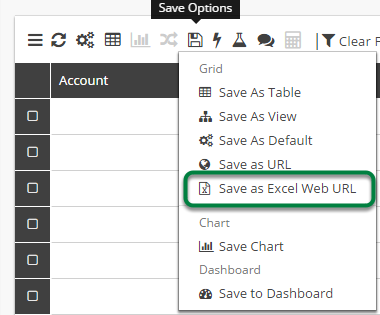 Next click 'Save as Excel Web URL'. 3. A window will open providing the Excel Web URL. The URL can be copied and pasted directly into Microsoft Excel. Click 'Close' when finished to return to Grid View. Prev: View Configuration Tool now includes 'Not Regex' option for Filters. Next: When creating a new User, a default theme can be selected.